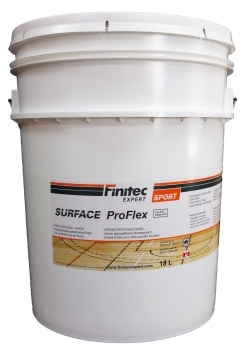 PROFLEX SURFACE is a protective sealer that restores and protects the synthetic sports floors (i.e., elastomeric material compounds) against dirt and abrasion by ensuring easy maintenance. PROFLEX SURFACE offers exceptional grip and durability while maintaining great flexibility. Specially formulated for synthetic sports floors, PROFLEX SURFACE is part of a complete restoration system ensuring compatibility and performance.